It’s lovely, right? 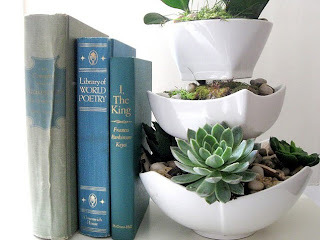 This creative planter is made by Lucy Ancheta-Atkins. Do you like this kind of headboard? 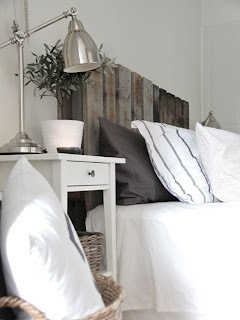 If you still have some left pallets, you can make this. Recreate the natural dark look by painting them with drift-wood stain or using a wire brush. Julie Petrella gives you the idea. Do you have old drawers? If you don’t, it’s easy to discover it at yard sales or on the side of the road left out for trash. Cut it down before painting if it’s too deep for your wall. 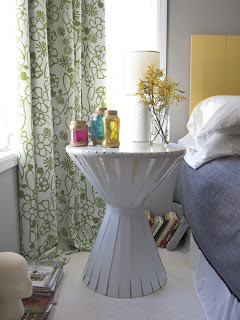 If you need a tall enough bedside table, you can imitate this unique table which created by Katie Steuernagle. Well, you can put your lamp, candles, glasses, and books on it! 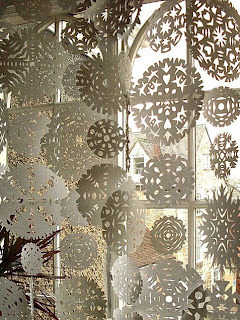 If you love making paper snowflakes, create it become into a lovely curtain. Jennifer Kirk offers this idea. I guess lots of you like putting on photos on the fridge. 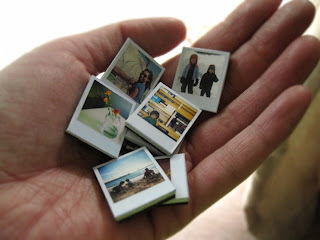 To protect the photos and display them beautifully; you can use Polaroid magnets. Not only to expose your pics, you can also apply the magnets to tack up other things like your kids schedules, paintings and letters. Unfortunately Lina, I am not crafty enough. But I do love those magnets! Nice blog. Thanks for sharing the info. Great insights. I love the ideas you shared. 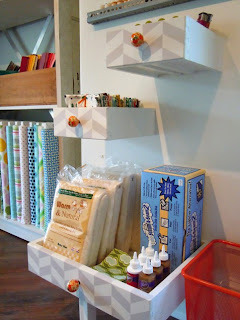 These are nice, inexpensive ways to make certain areas in the home just a little more special!